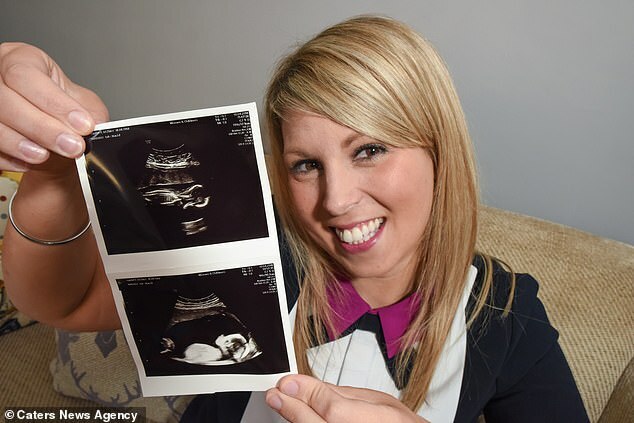 Keziah Harvey, 30, and her husband Jordan, 33, were told at 16 weeks pregnant that it was unlikely their girls would survive – with or without surgery. One of the girls suffered a stroke, a complication of the syndrome that can happen when a baby’s blood pressure drops. 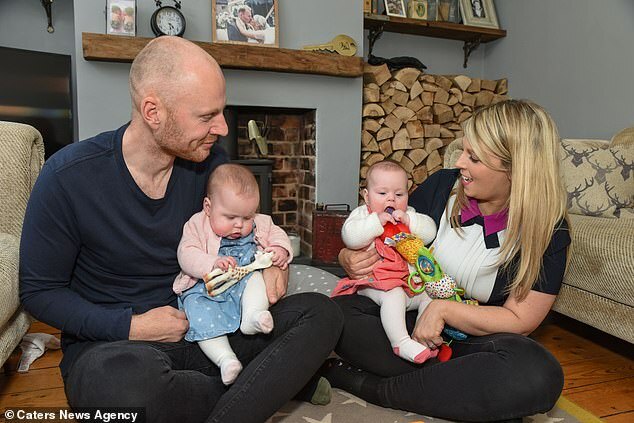 But the parents went ahead with the risky operation, and were over the moon when their ‘miracle’ girls were born – albeit five weeks premature – in July 2018. 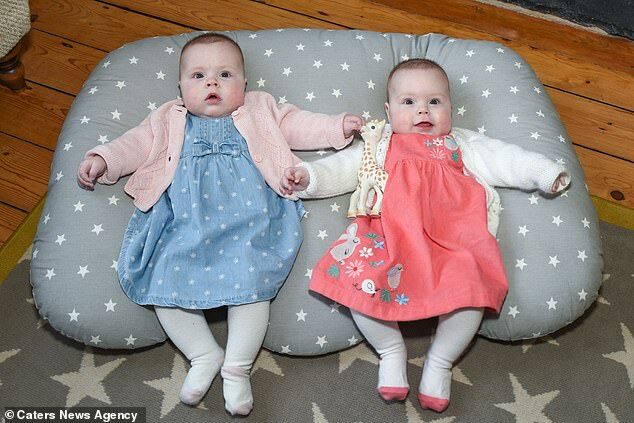 She said: ‘Without the surgery my odds were around 95 per cent that I would have lost them and then with the surgery it was about 30 per cent they would both survive. 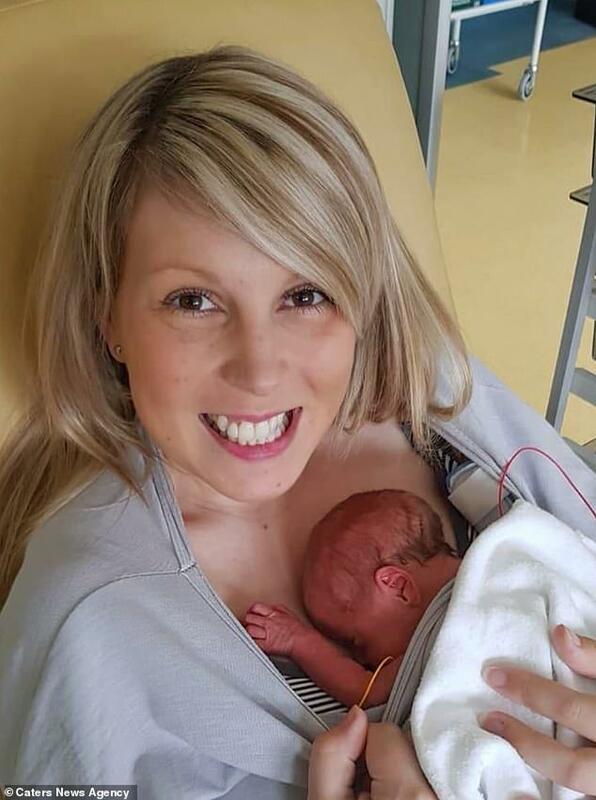 Mrs Harvey, a formal dental practice manager, was referred to Birmingham Women’s Hospital where her doctor advised she undergo laser ablation surgery at 18 weeks pregnancy. Mrs Harvey said: ‘I had the laser ablation and sedation while Jordan was able to hold my hand and got to watch it on the screen the whole time. 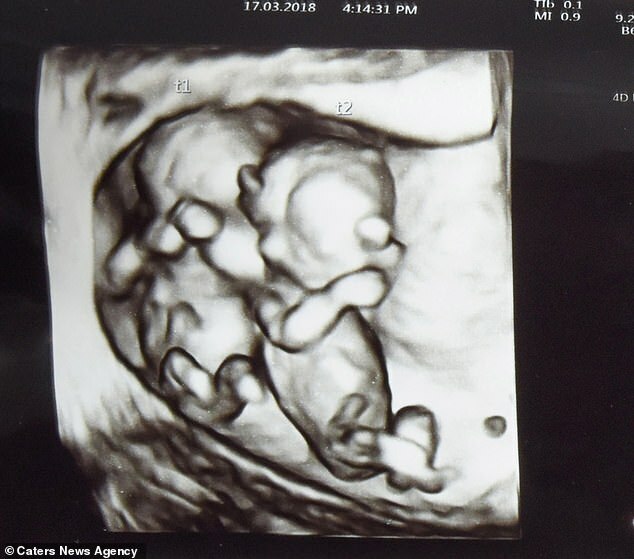 ‘It was amazing he could watch them on a camera from inside my tummy and see all their teeny tiny features and little faces. Following doctors’ concerns, they were asked if they wished to terminate the pregnancy – which they didn’t think twice about saying no to. 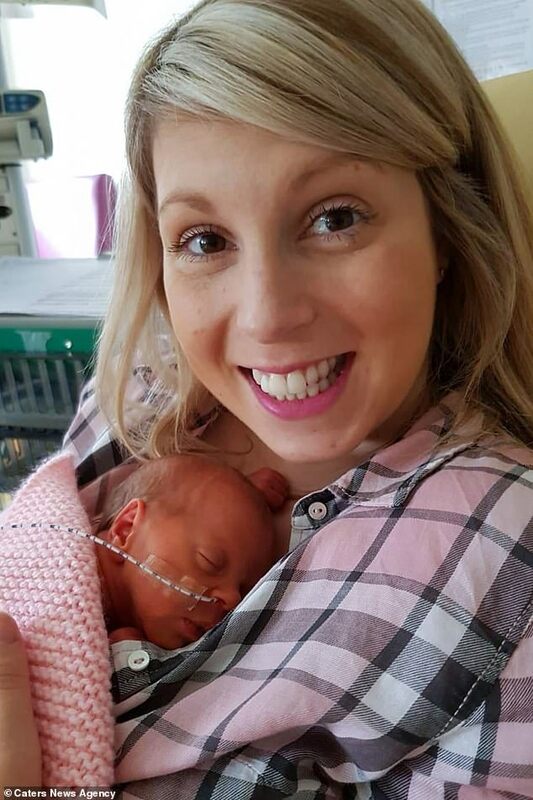 Mrs Harvey said: ‘It was so nerve-wracking waiting to find out and we were concerned when we were told one of the girls has a stroke prior to the surgery taking place. 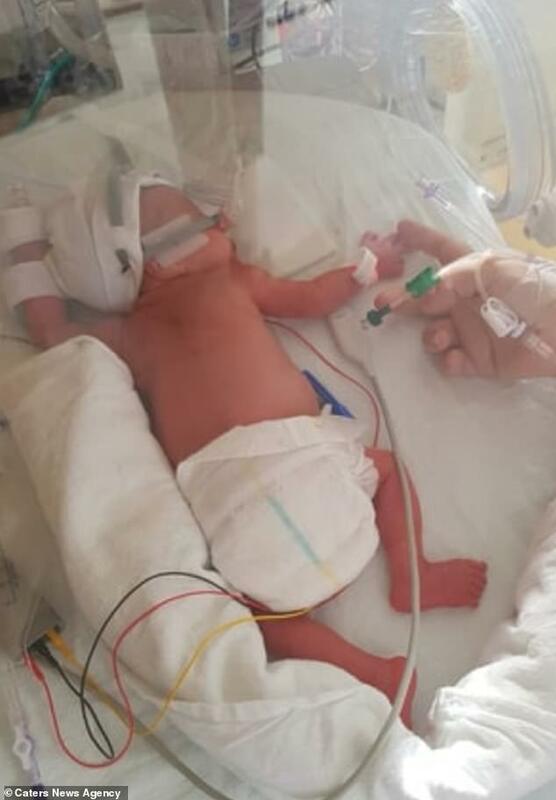 ‘The doctor was able to discuss the parts of the brain that may have been damaged; but as a baby’s brain is still growing, a stroke isn’t as final for babies as adults and their brains learn to grow new pathways to replace some of the parts damaged. ‘When we were offered a termination, the answer was always no, no matter the severity or the circumstances we would be faced with. 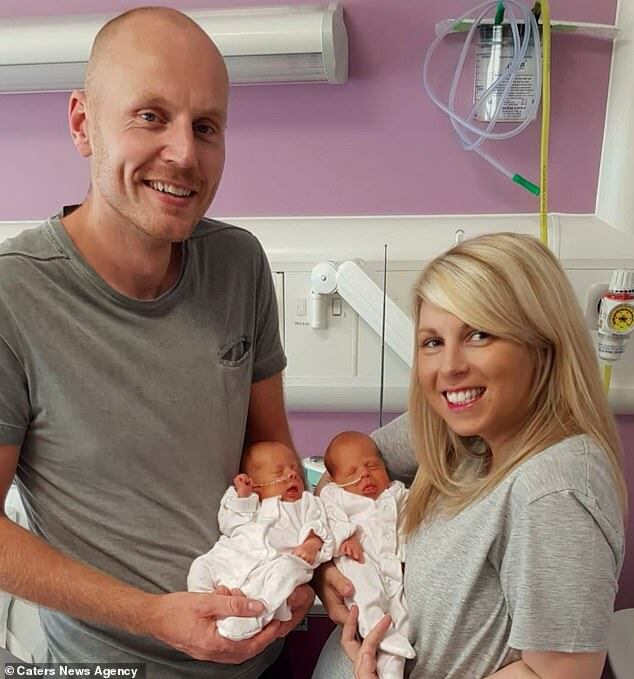 Mrs Harvey said: ‘It was lonely sitting next to their incubators all day not being able to help them – it is never how you imagined those first precious moments as a mummy. 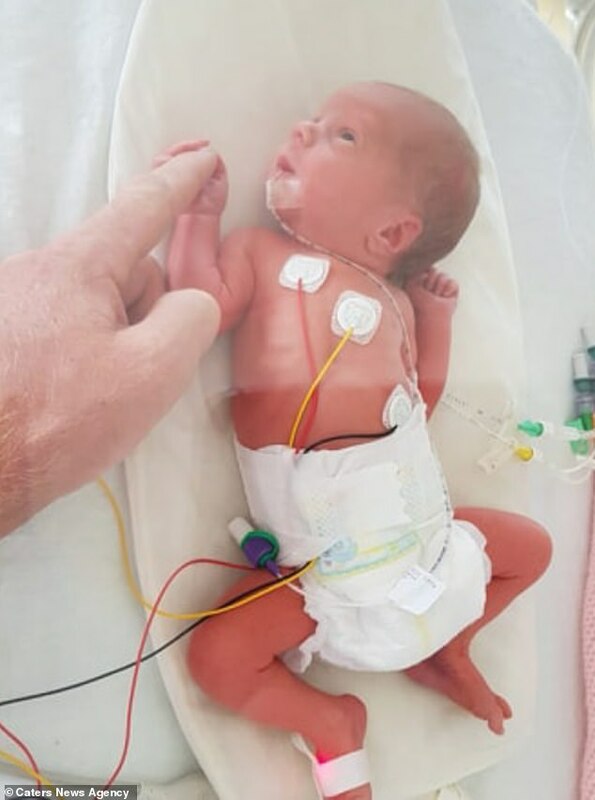 ‘We could only put our hands in the incubators to hold the girls hand for a very short time and we had to wait for their temperatures to stabilise before we could hold them. But eight months on, the girls are healthy and are developing well and don’t appear to have been left with any long term effects. Mrs Harvey said: ‘They are making great progress and the consultant is happy with their development so far; they’re having regular physio but so far all on track. Mr Harvey added: ‘We felt so helpless throughout everything. 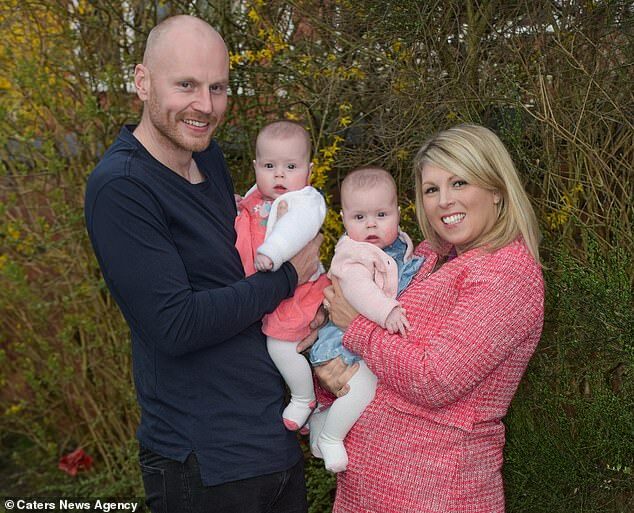 You can read more about the Harvey family’s story on Mrs Harvey’s blog. 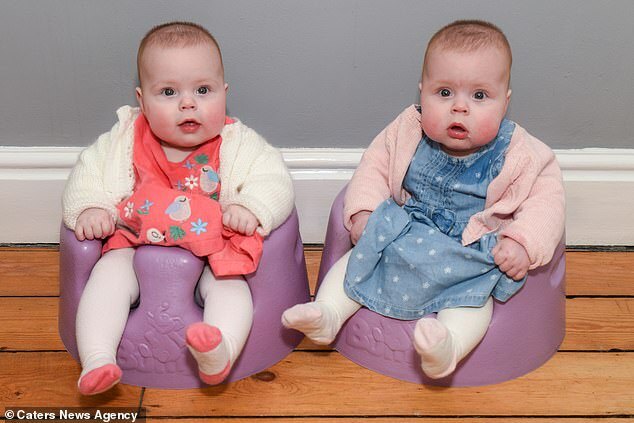 This leads to an enlarged bladder and excessive amounts of amniotic fluid, which can put a strain on the twin’s heart, leading to heart failure.